National bestselling author Michelle Moran returns to Paris, this time under the rule of Emperor Napoleon Bonaparte as he casts aside his beautiful wife to marry a Hapsburg princess he hopes will bear him a royal heir After the bloody French Revolution, Emperor Napoleon’s power is absolute. When Marie-Louise, the eighteen year old daughter of the King of Austria, is told that the Emperor has demanded her hand in marriage, her father presents her with a terrible choice: marry the cruel, capricious Napoleon, leaving the man she loves and her home forever, or say no, and plunge her country into war. Marie-Louise knows what she must do, and she travels to France, determined to be a good wife despite Napoleon’s reputation. But lavish parties greet her in Paris, and at the extravagant French court, she finds many rivals for her husband’s affection, including Napoleon’s first wife, Joséphine, and his sister Pauline, the only woman as ambitious as the emperor himself. Beloved by some and infamous to many, Pauline is fiercely loyal to her brother. She is also convinced that Napoleon is destined to become the modern Pharaoh of Egypt. Indeed, her greatest hope is to rule alongside him as his queen—a brother-sister marriage just as the ancient Egyptian royals practiced. Determined to see this dream come to pass, Pauline embarks on a campaign to undermine the new empress and convince Napoleon to divorce Marie-Louise. As Pauline’s insightful Haitian servant, Paul, watches these two women clash, he is torn between his love for Pauline and his sympathy for Marie-Louise. But there are greater concerns than Pauline’s jealousy plaguing the court of France. While Napoleon becomes increasingly desperate for an heir, the empire’s peace looks increasingly unstable. When war once again sweeps the continent and bloodshed threatens Marie-Louise’s family in Austria, the second Empress is forced to make choices that will determine her place in history—and change the course of her life. 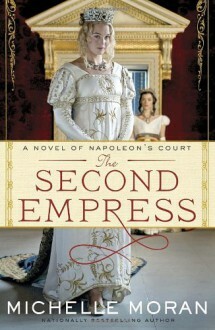 Based on primary resources from the time, The Second Empress takes readers back to Napoleon’s empire, where royals and servants alike live at the whim of one man, and two women vie to change their destinies.